English | Electrotech Laval inc. 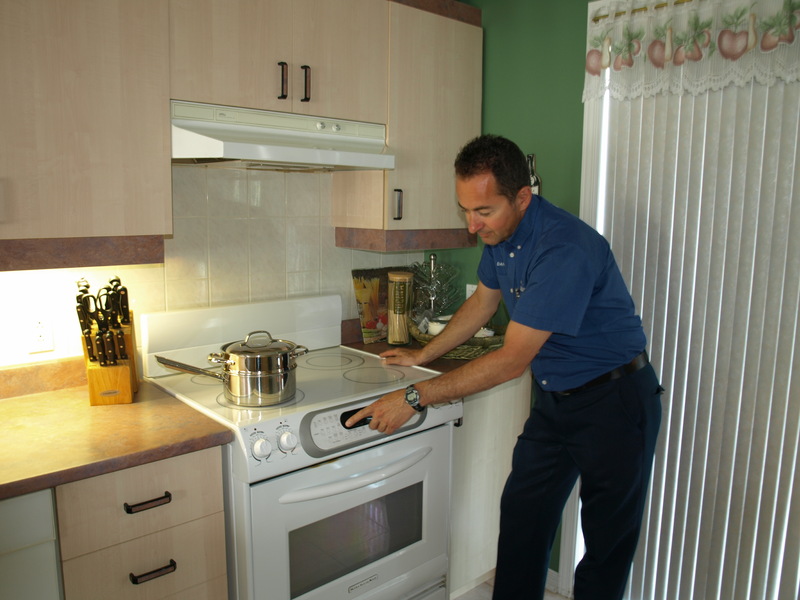 Welcome at Appareil Electrotech Laval Inc.
Service of electric household appliances. 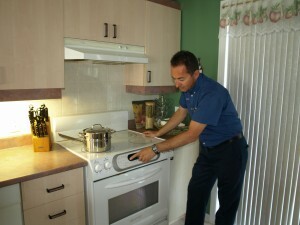 A specialized company in the repair of domestic appliances in residence. 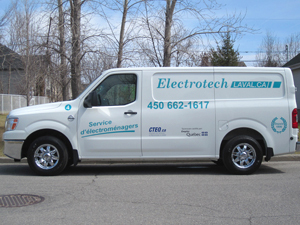 At Electrotech Laval Inc, you will find a service fast, courteous and personalized and this, at competitive price. Of course, you will profit from a guarantee on the parts and labor. Électrotech Laval Inc is with the listening of your needs since May 1990. He is also member of the Corporation of the Technicians out of Electric household appliances of Quebec, the C.T.E.Q. He is also member of the executive committee of this corporation under Director of recruitment and person in charge of the special events. He takes part also annually in training courses via the corporation. In parallel, it also has, with its credit, several training courses acquired in schools of service. In May 1990, Daniel Charbonneau creating his company of the name of Appareil Électrotech Laval Enr. It is with determination and the love of the trade, that it one by one acquires the customers of his company. In February 1994, Chantal Paquette joint Électrotech Laval Enr, in order to link her efforts and her energy with those of her husband towards the success. In 1995, Électrotech Laval Enr makes its first acquisition, that is to say the company of Mr. Gilles Perreault. The sector of St-François opens more. The more the years pass, Électrotech Laval Enr takes expansion. In 1997 the incorporation of the company takes place, whose legal name will become « Appareil Électrotech Laval Inc » with the order, Daniel Charbonneau, founder, president and technician, as Chantal Paquette, vice-president and administrator. An new acquisition takes place in January 2005. Électrotech Laval Inc becomes then owner of Companies JPM Enr. One year later, in February 2006, another cord is added has its arc. This time, it acquires Marcel Électrique Service. Électrotech Laval Inc always had and will have always in heart to offer a personalized and courteous service, without compromising competences and knowledge acquired with the passing of years, in order to be useful to you always well. It is today, with pride, that we serve our customers.